Homes which have been empty for between 2 and 5 years would still be subject to the Council Tax bill being doubled under the proposal. "We’re determined to do everything we can to ensure our communities have the housing they need. "That’s why we’re giving councils extra flexibility to increase bills and incentivise owners to bring long-standing empty homes back into use. "By equipping councils with the right tools to get on with the job, we could potentially provide thousands more families with a place to call home." Councils will be able to use funds from the premium to keep Council Tax levels down for hard working families. 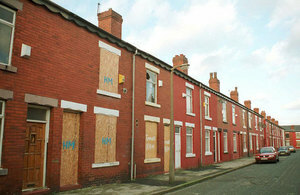 Currently, there are just over 200,000 homes empty for 6 months or more in England, compared to 300,000 in 2010. This number has reduced dramatically since 2013 after councils were given powers to charge a 50% premium on council tax bills. The vast majority of councils have introduced 50 per cent premiums on long-term empty homes. Where councils have applied the premium consistently every year, there has been a nine per cent fall in the number of homes being charged the premium. To ensure the proposed new powers are not used to unfairly punish those facing difficult circumstances, the government has also announced today that it will publish revised guidance for councils on the use of premiums. This will also take into account issues relating to low-demand areas and ensure it does not hinder complex regeneration schemes. The move is one of a range of measures introduced by the government to fix the country’s broken housing market. Through an ambitious package of long-term reform and targeted investment, government is ensuring communities have the homes they need.